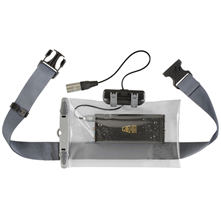 Visit Aquapac's Connected Electronics Case page. 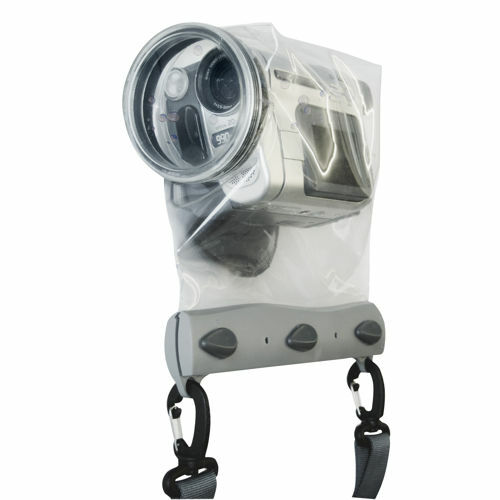 Use your electronic equipment while protecting it from the elements. 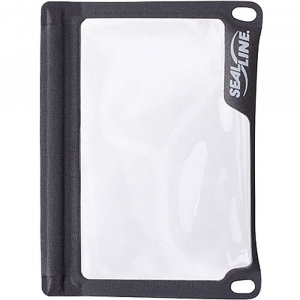 This unique case features a waterproof "wire-thru" side clip, allowing wires up to 1/10" (2.5 mm) thick to run into the case.Use your equipment normally: sound and signal pass right through the material, and a stylus can be used through the clear window.Note: Recommended for surface use only, not for submersion. 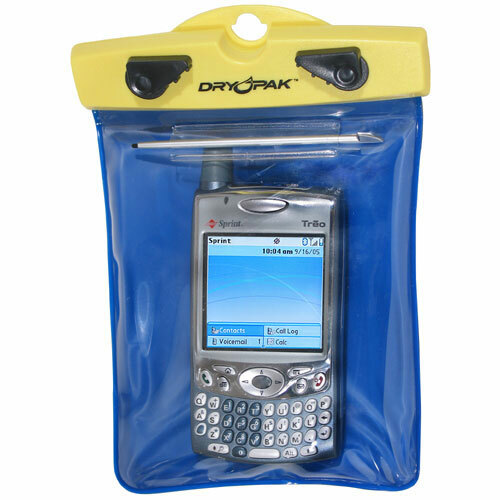 Will hold electronic devices up to 8" in length and 9" in circumference.All Aquapac waterproof cases are PVC-Free! Now made from Polyurethane (PU) - 100% recyclable, thinner, stays flexible when it's cold, easier to operate equipment inside the cases. 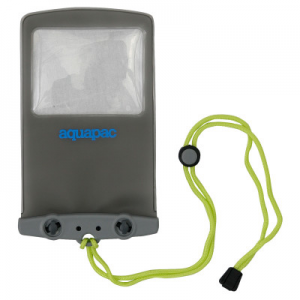 Protect your electronic devices from moisture, dirt, and dust without getting disconnected - use Aquapac's Connected Electronics Case. 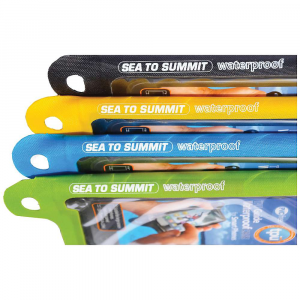 Featuring the TC Aquaclip wire-thru seal which stays waterproof even with wires up to 1/10th of an inch, this case provides the best of both worlds. 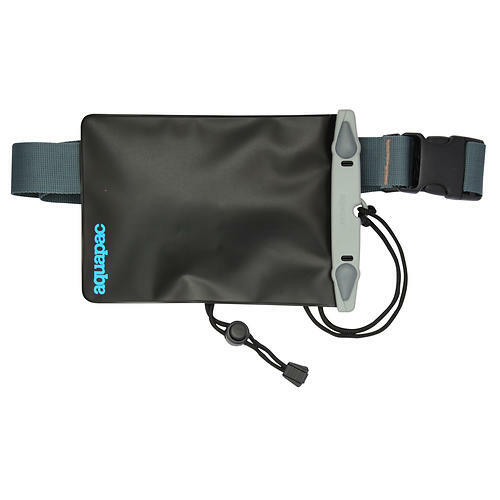 The Aquapac Connected Electronics Case is not available from the stores we monitor. It was last seen June 25, 2017	at SunnySports.